In 2017 I launched a global campaign initiative and invited mindfulness educators from around the world to celebrate the first annual “The HEART of Mindfulness for Youth Week”. In 2018 we will celebrate around the globe and locally, on the Central Coast of California, the week of November 3-9. 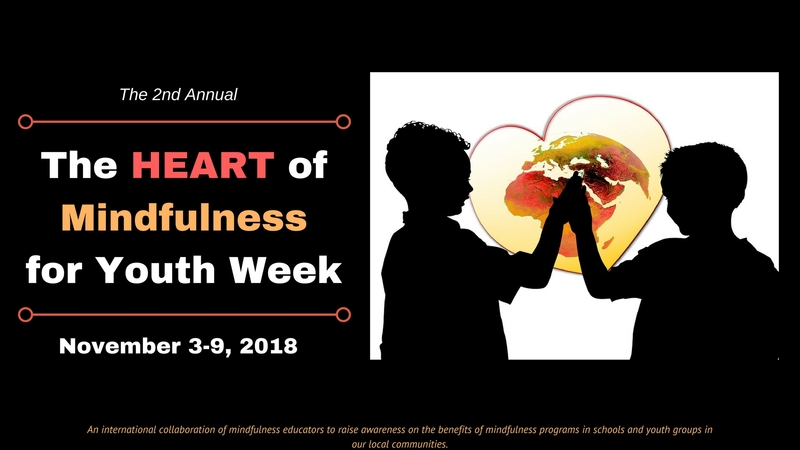 “The HEART of Mindfulness for Youth Week” is an international collaboration of mindfulness educators to raise awareness on the benefits of mindfulness programs in schools and youth groups in our local communities. Although it is an international event, each local chapter will plan their own ways of celebrating in their schools and communities annually. Those who will be leading these events have their hearts burning with passion for sharing mindfulness with others. 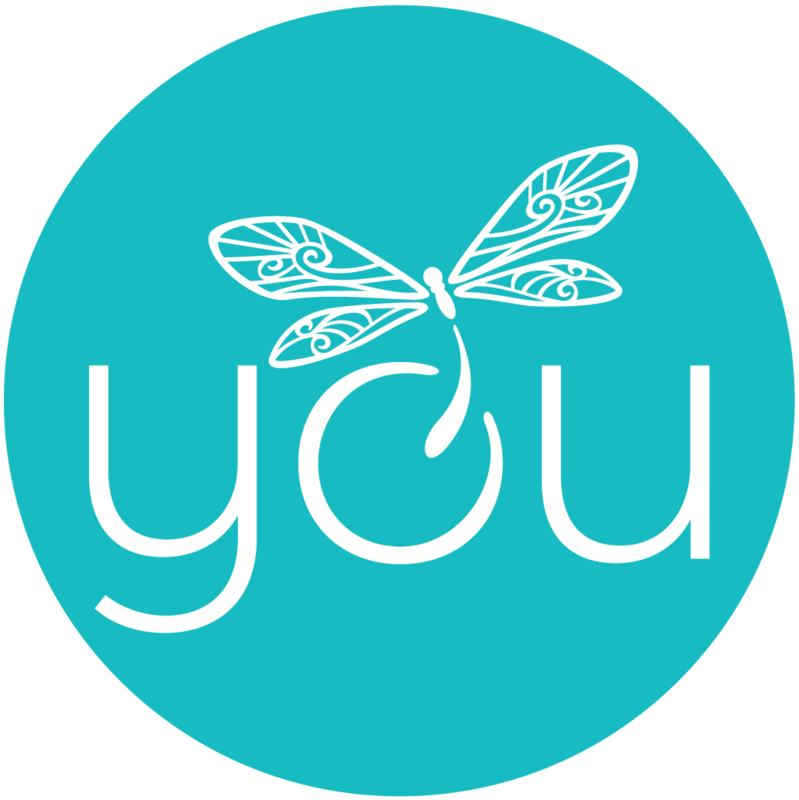 We are teachers, school psychologists, counselors, mental health professionals, school administrators, mothers, fathers, friends, yoga instructors, music/art teachers, and more ~~ we are one collective heartbeat of folks who are training or have been trained and certified in teaching mindfulness specific to education and youth. Our goal is to raise awareness on how evidence-based practices of mindfulness are an essential component in education and in our lives. If you would like to host an event in 2018, please contact me!!! Host a Film Screening of May I Be Happy: Mindfulness in the Classroom and Beyond to help raise awareness and begin the conversations in how to get a mindfulness program in your school or community. Host a FREE Custom Workshop/Guest speaker. Last year I presented workshops for: (1) a classroom at Nipomo High School, (2) the California Conservation Corps, (3) for parents and educators (open to the public) at Bellevue-Santa Fe Charter School, (4) for Parents Helping Parents (of special needs children), and (5) for staff at Shell Beach Elementary. The workshop can be geared for youth in elementary, middle, or high school OR for parents, educators, or the work-place. It can also address special interest groups. The ideas are endless! We have 2 private workshops scheduled for One Cool Earth in SLO (Staff Development Workshop) and for Nipomo HIgh School (classroom workshops). MINDFULNESS EDUCATORS AROUND THE WORLD: If you are a mindfulness teacher or will be participating in leading activities for “The HEART of Mindfulness for Youth Week 2018” be sure to join our FB group to share ideas and suggestions for making your event successful! Last year we had folks celebrating around our country as well as in Australia and Dubai! 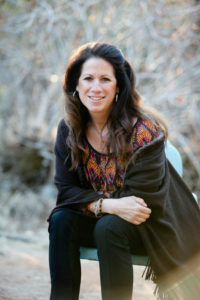 In my own efforts to launch mindfulness programs on the Central Coast of California after leaving my role in special education in the public schools, I made a decision to launch this global campaign initiative to have the support of like-minded mindfulness educators around the world (whom I have met via my training/certification through Mindful Schools) to help with the planning stages and sharing of ideas. MK YOU equips and teaches children, teens, and adults HOW to cultivate the inner resources, or “superpowers” for reducing stress and experiencing more balance, resilience, and over-all well-being by integrating evidence-based strategies and practices of mindfulness, movement & yoga, and social emotional learning to develop the essential life skills of emotional intelligence, or “Sm’Heart skills” — the essential education for responding more skillfully to life in the 21st Century! These positive experiences will transform, not only inner peace and happiness, but also our social dynamics at school, at home, at work, and in the community! These are skills for life! 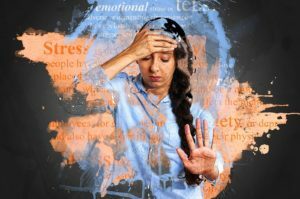 “Sm’Heart Skills”: your inner resources for resilience and well-being! Please feel free to contact me with questions, comments, or inquiries! You’re also invited to Follow MK YOU on Facebook for daily mindfulness reminders and resources!